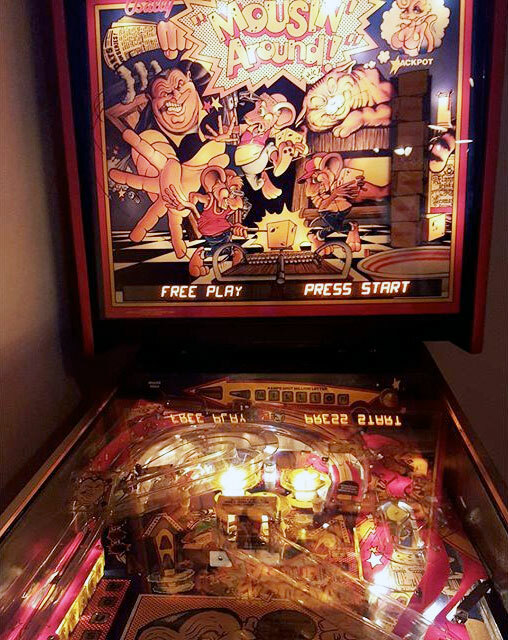 Check out these 1989 Bally Mousin Around Pinball Machines for sale. You will also find parts and accessories including the LED kit, Ramps, Pop Bumpers, Speaker Upgrade, Flyer, Sound Board, Flipper Rebuild Kit, Fuse Kit, CPU Rom Chip Set, Translite, Playfield Plastics, Target Set, Mods, and Custom Target Decals. Great game for new players because it is a fun theme with easy to understand rules, and the audio package is rad. Grab Profits by the Tail! So You Wanna Mouse Around? Check the listings below for available machines.